IS FAITH in Jesus still relevant for today’s youth? 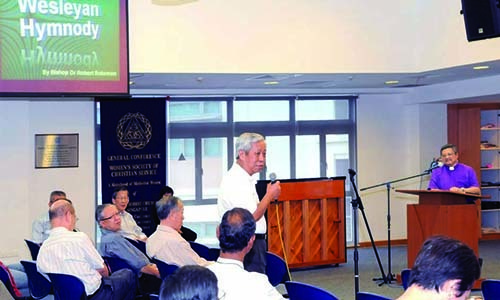 The upcoming seminar, “Jesus vs Aliens: A Pilgrim’s Guide to the Galaxy”, at Faith Methodist Church on Saturday May 19, 2007 beginning at 1.30 pm, will provide Singapore youth the opportunity to explore this concern. This Youth Seminar, a first for the annual Aldersgate Convention, will feature the Rev Dr David Wilkinson, pastor, theologian and scientist. A popular international speaker, he has addressed many youth conferences, including the World Methodist Youth Conference, the Singapore Youth Celebration in 2002, Scripture Union training events, and numerous events for British youth. “My previous time in Singapore in 2002 with young people was exciting, and I look forward to it again,” the Rev Dr Wilkinson said. The Youth Seminar is one component in a two-part seminar entitled, “Christian Apologetics in a Scientific World”. It is designed especially for Singapore’s modern youth, to help them see how relevant Christianity is to their science, chemistry, physics and life-sciences lessons in school. 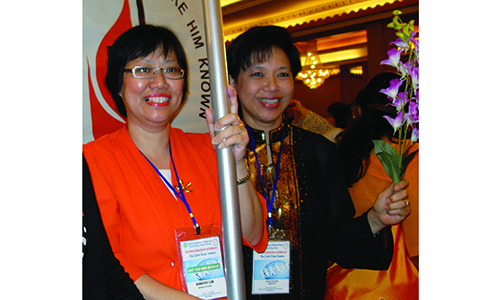 The Adult and Youth Seminars are part of the six-day 2007 Aldersgate Convention to be held from May 19 to 24. 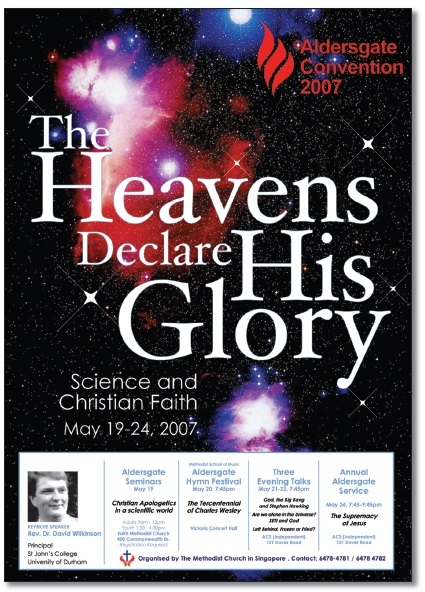 It will address the theme “The Heavens Declare His Glory: Science and Christian Faith” (see related story on Back Page). A member of the Aldersgate Convention Steering Committee said: “It is the aim of the Youth Seminar to help our youth to be able to talk with their friends and family members about how the Christian faith is reasonable in a scientific world. “It is imperative that they are able to give an answer to everyone who asks for the reason for the hope that they have (1 Pet 3:15a). A recognised scholar and communicator, the Rev Dr Wilkinson is Principal at St John’s College, University of Durham, in the UK. He has lectured in theology and science and held positions in both academia and the church. He is not put off by youth. “Whether it be examining the role of religion in The Simpsons or the implications for a Creator God in the new cosmology, I am challenged and encouraged by speaking with young people,” he said. Besides science and theology, he is interested in Christian communications spoken about the connections between Christianity and culture. Rather than looking with suspicion on the findings of science and the products of pop culture, he prefers to build bridges and find ways in which the Gospel may speak to the important issues raised by culture. In fact, he is known by some of his colleagues as an expert on the theology according to Bart Simpson, the popular cartoon icon. “Our culture is fascinated with the search for meaning and purpose,” he said. “You see it in the growth of science fiction movies from ‘I Robot’ to ‘Minority Report’, from ‘Star Trek’ to ‘Déjà vu’”. The Rev Dr Wilkinson will review such fascination with the youth through his multimedia presentation, and show how Jesus makes sense of this search. Jesus, he said, “provides answers to many of these questions”. The Youth Seminar will begin with registration at 1.30 pm. Talk 1 will begin at 2 pm, followed by a tea break at 2.45 pm, Talk 2 at 3.15 pm, and Q&A from 4 to 4.30 pm. Regular youth registration is $5 per person, but for those who register before April 16, the fee is only $2 per person. For those registering with a group of 10 or more, the fee is also $2 per head. Participants will discover biblical models for proclaiming the Good News with confidence. The Adult Seminar will begin with registration at 9 am, followed by Talk 1 at 9.30 am, a tea break at 10 am, Talk 2 at 10.45 am, and end with Q&A from 11.30 am to noon. Regular registration is $15 per person. For individuals registering before April 16, the fee is only $10. For those registering with a group of 10 or more, the fee is also $10 per person. The registration deadline is May 7.